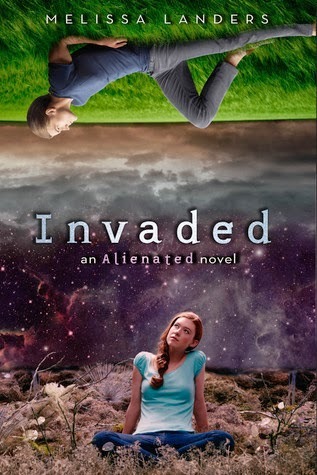 This week, my swoon is from Invaded by Melissa Landers! With a rough tug, he sent her colliding into his chest, then wrapped both arms around her waist to crush their bodies together. She relaxed into him and rested her cheek near his shoulder, then made a sound of contentment that was satin to his ears. Sacred Mother, she felt so good, all soft curves and heat, the sweet scent of her hair filling his space with oranges and cloves. When she tipped her ivory face toward his, he brushed her mouth in a gentle kiss. He took her lips tentatively at first, just a light, inviting sweep that let her set the pace. She rose onto her toes and hooked her arms around his neck, then tilted her head and ratcheted up the passion by a thousand blistering degrees. She kissed him like he was a soldier heading to war, never to return. It went on for several heart-pounding minutes until their breathing turned choppy and they broke for air. Aweeee, what a swoon!! Cannot wait to get this one myself! !